A unique creative spirit thrives in cosmopolitan Toronto. Set against a backdrop of stunning architecture and inspired by Toronto’s diversity, world-renowned festivals and spaces celebrate the arts, theatre and film. Internationally-acclaimed chefs head restaurants that make Toronto’s food scene one of the best in the country. From upscale gourmet to home-cooked comfort foods and food trucks, savour the city’s culinary diversity. Save 35% or more and skip lines at 5 top attractions including the CN Tower, Casa Loma, the ROM, Ripley's Aquarium and the Toronto Zoo or Ontario Science Centre. There's nothing like being surrounded by fellow rabid fans and the energy on the streets after a game. Check out where to get the ultimate sports experiences. 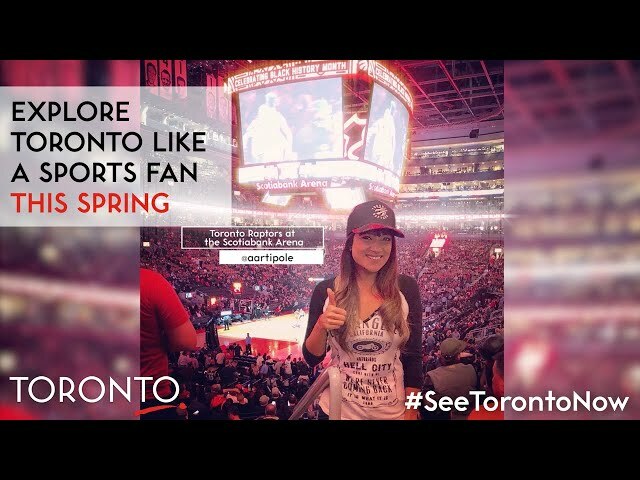 Toronto delivers grand slams, slam dunks, hat tricks and touchdowns all year long! There aren’t many things we can count on in this life, but these events taking place every year in Toronto are some of them. Make traditions with us. Find more events on our events calendar. Toronto is an energetic, dynamic city with unique and exciting events and activities around every corner. Experience international cuisine and vibrant nightlife to kid friendly attractions and romantic date ideas to enjoy year-round. Spring is a time of anticipation and renewal as we look forward to warmer weather and longer days. Feel like a VIP as you get a sneak peek at festival season or the Boys of Summer as they come off spring training. Fresh menus, bright new fashions and the elusive and short-lived cherry blossoms are all here this spring - discover all the things that locals love! Hungry? 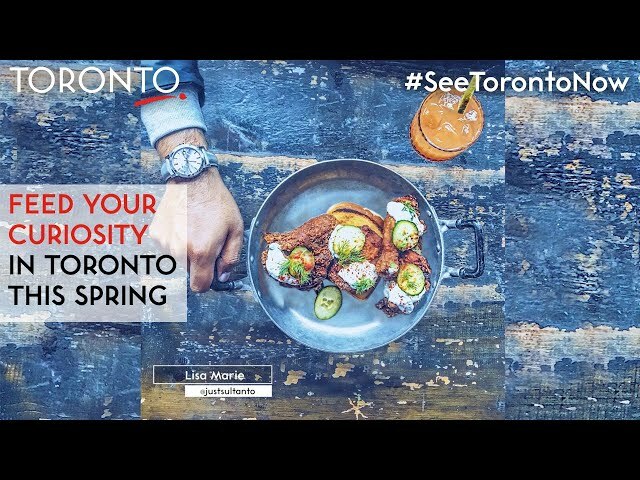 You will be after reading about Toronto's food and drink scene. Internationally-acclaimed chefs head restaurants that make Toronto’s food scene one of the best in the country. Savour the city’s culinary diversity from upscale gourmet to home-cooked comfort foods and food trucks. Staying overnight in Toronto? Wake up to the best brunch and coffee spots. Check out these great bar bites and places to eat near all the top museums. Find out where to shop in the city. From endless shopping malls with the latest fashions and designers to strolling along Queen West or browsing in Yorkville or the Distillery District, Toronto is a shopper’s paradise. Check out the Style & Design Guide for inspiration! Visiting Toronto again? Discover what's new if you’re a repeat visitor. Toronto also offers all sorts of getaways for everyone to experience. Take a quick break with the gals or a mini mother daughter bonding trip. Perhaps something romantic. Try unique and romantic ideas to plan the perfect date​. Looking for family trip ideas? Try an interactive and educational family trip planner. Don’t forget to capture Toronto with your camera. Discover where to snap the best Instagram photos. A unique creative spirit thrives in cosmopolitan Toronto. Set against a backdrop of stunning architecture and inspired by Toronto’s diversity, world-renowned festivals and spaces celebrate the arts, theatre and film. Also be sure to take in a rich primer on the Indigenous Arts Scene. There are lots of great neighborhoods to explore as well. View our annual events and must-see attractions. Live performances, festivals of all types and timely tradeshows fill up the Toronto events calendar this time of year. Toronto has sports all year round. Check off every sport experience on your bucket list. Looking for that unique Canadian experience? Look no further with the guide to Canada in Toronto! Toronto has one of the liveliest music scenes in the world. No matter what kind of tunes you're into, you won’t have trouble finding a crowd of similar devotees rocking out to the hottest local and international acts in Toronto to choose your groove. Spring is a great time to visit the city - check out what is going on this spring for concerts, events, new exhibits and more. Learn more about what locals love about the city! 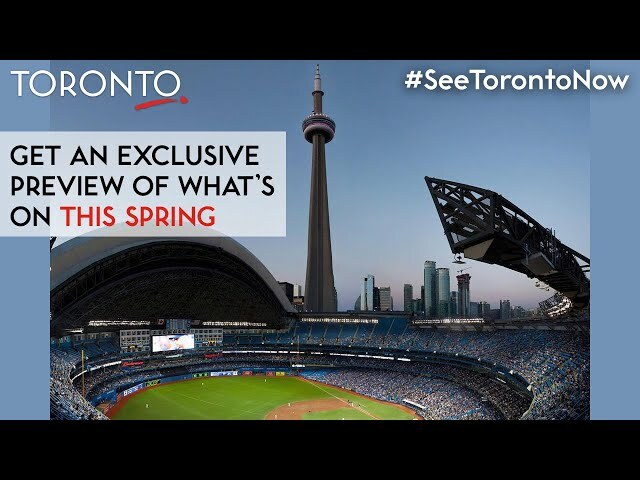 With exciting attractions, live performances, major league sports, cuisine from around the world, endless shopping opportunities and a festival for nearly everything, you'll never run out of things to do in Toronto. Check out the new Visitor Magazine to learn more!